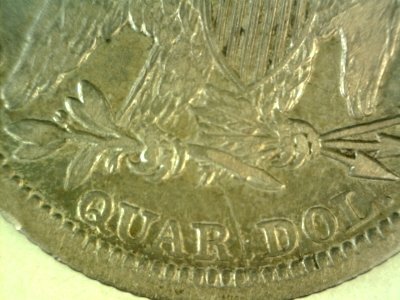 The quarters of the 1840’s are personal favorites for many reasons, including the existence of many interesting die varieties and die states. It seems like no matter how long one looks, or how many varieties are acquired, there is always something new just around the corner. 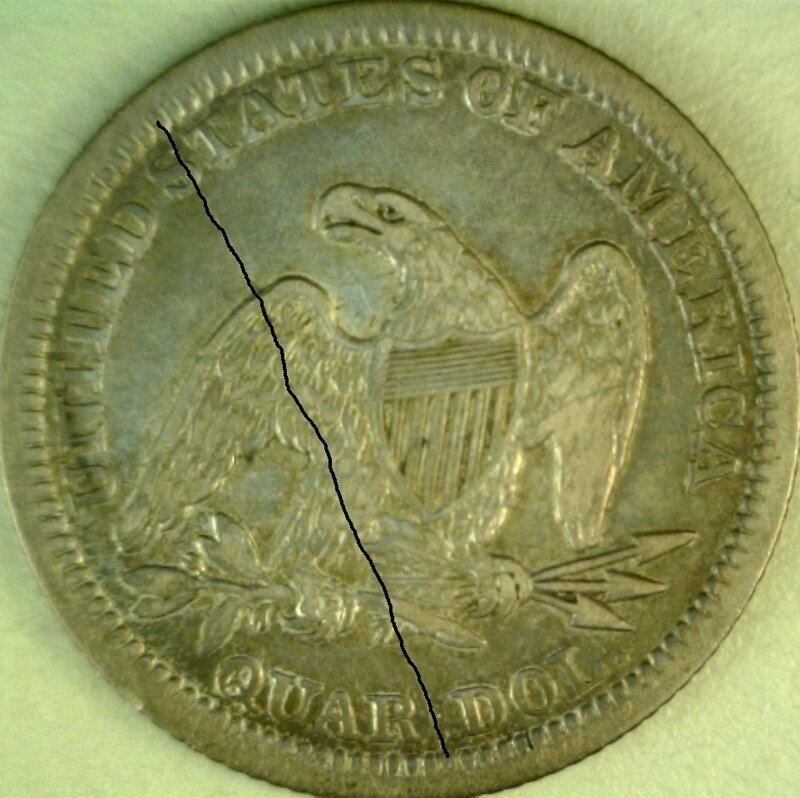 That was the case at the March 2008 Baltimore show when I visited Rich Uhrich’s table and he said, “Hey, have you ever seen one of these?” He then presented me with a nice, original, choice VF 1845 quarter; the sort of coin that could correctly be called uncommon at the time and which is even more elusive 5 years later. Though one of the most common 1840’s quarters, today a complete search of a large show like Baltimore might not turn up even one original, problem free, mid-grade example of the 1845. 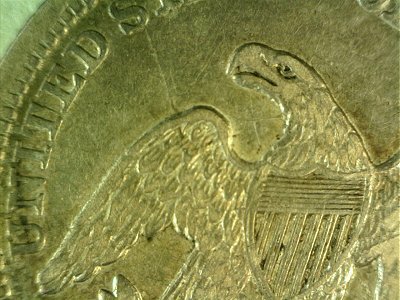 The coin, an example of which I had in fact never seen before, or since, had a notable die crack bisecting the reverse. Careful examination subsequently revealed that it closely matches the reverse shield diagnostics listed in Briggs’ for reverse B. However, no prominent reverse die crack is noted in the book or reported elsewhere. Nor has a second example been found since the acquisition of this example in 2008. The coin is pictured below.